London is an exciting and beautiful city that attracts millions of visitors every year from all over the world. With an extensive history and incredible architecture, visiting the city can potentially be incredibly expensive. However, London also offers numerous attractions, hidden gems and spaces that are open to the public and free-of-charge! For me, that means that a short train ride into the city doesn’t need to break the bank. I can find lots of places to explore that may not be as touristy but still fun and adventurous. I seriously find new free things to do every time I go! 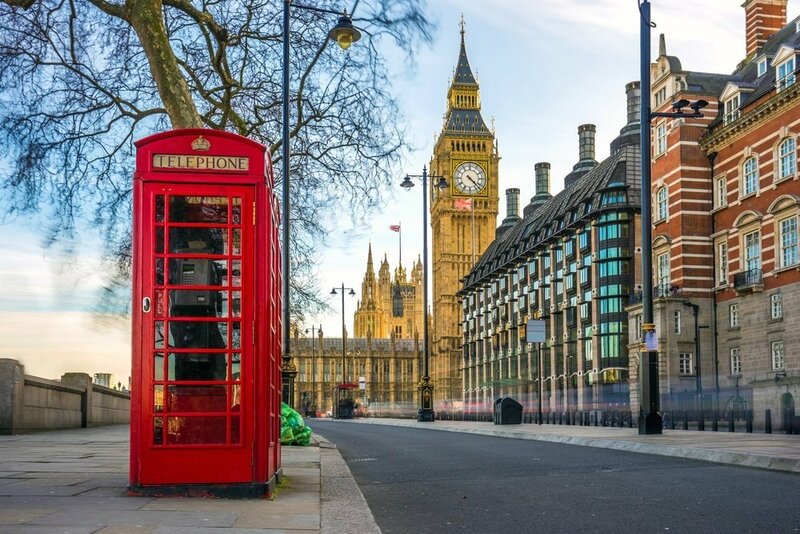 Though this list is in no way a complete guide to all the free things you can do in London, it will allow you to explore the city like it was meant to be discovered, on foot. Even if you only have one day to spend in London, this list will make you feel like you have covered a lot of ground. St Dunstan-in-the-East is a former parish church, located near the Tower of London and Tower Bridge. Originally built in around 1100, and then renovated after the Great Fire of London (during which the steeple was added), it was then severely damaged during the Blitz of 1941. Instead of rebuilding, the decision was made to turn it into a public garden which was opened in 1971. 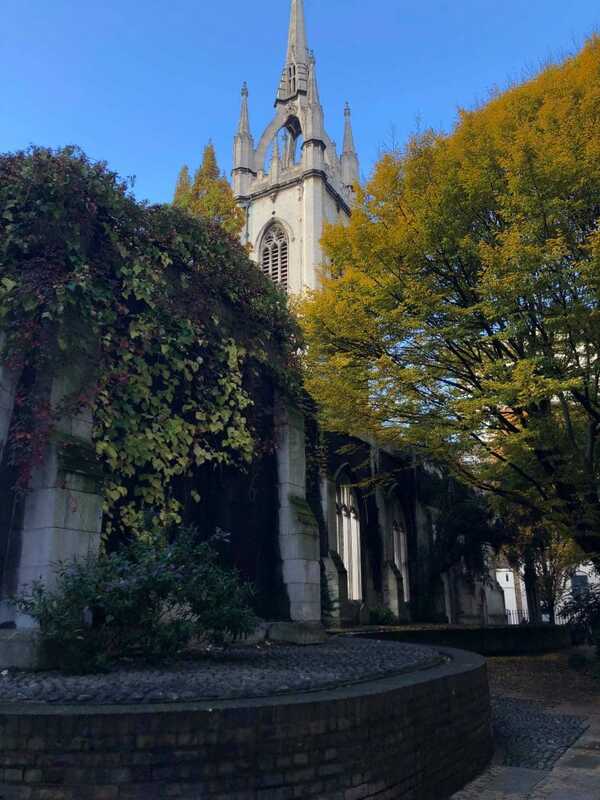 Designated as a Grade I listed building, the St Dunstan-in-the-East public garden is free of charge, and is open from 8am – 4pm daily. It’s a beautiful and tranquil hidden-gem amidst the hustle and bustle of a busy area. For more historical information, click here. 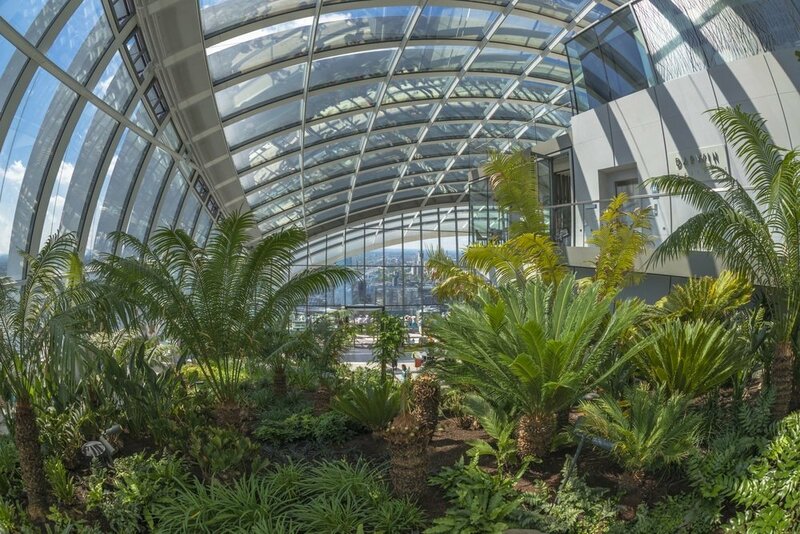 Known as the ‘Walkie Talkie’ because of its unique shape, the Sky Garden is a ‘garden’ with a glass ceiling, two restaurants, and open air terrace and incredible views of the city over three storeys. It’s opening times are from 7am on weekdays and 8am at the weekend. Tickets are free but are offered on a limited basis, they have to be purchased online and due to its popularity may not be available at short notice. 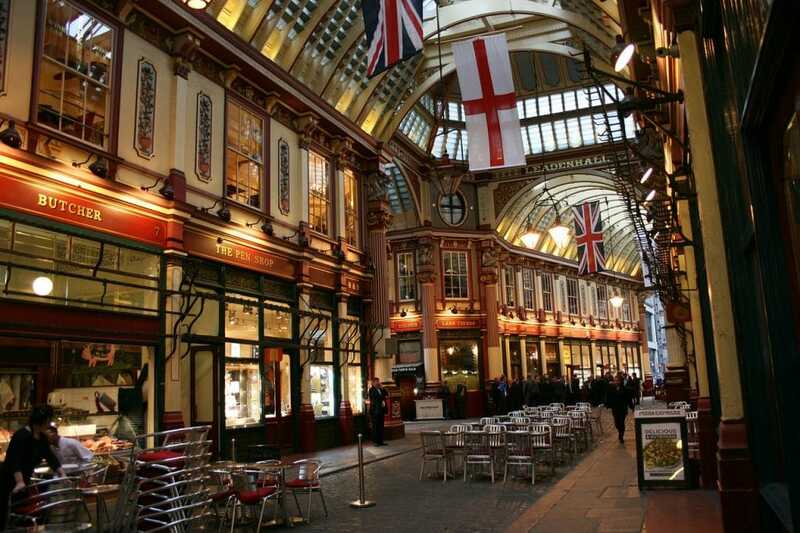 Leadenhall Market dates back to the 14th century, making it one of the oldest markets in London. Designated as a Grade II listed building, the ornate and impressive architecture makes for a stunning place to visit, and is completely free. You’ll be able to explore a whole range of different food and product stores, and it is open 24 hours a day. Interestingly, parts of the market were used as Diagon Alley and the Leaky Cauldron in the Harry Potter films. St Paul’s Church, not to be confused with the iconic St Paul’s Cathedral, is located next to Covent Garden. 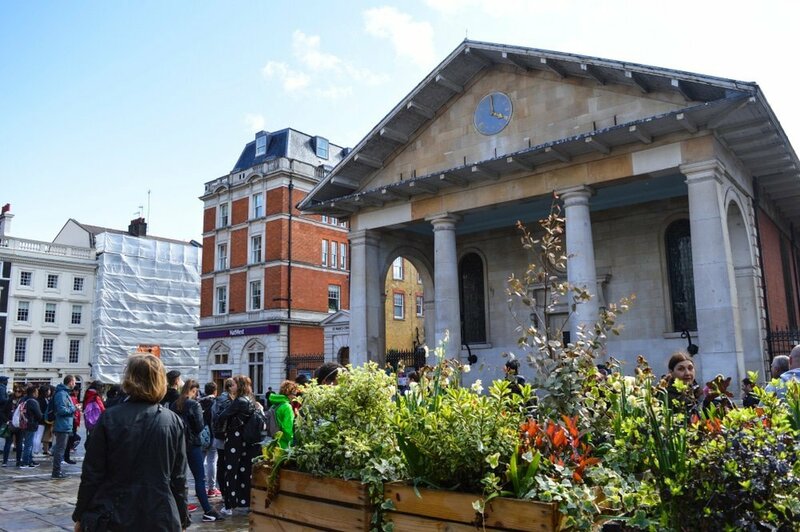 Known as the ‘actors church’ because of its association with the theatre community, St Paul’s houses burials and memorials dedicated to some of the most famous entertainers of the 20th century, including Sir Charlie Chaplin, Hattie Jacques, Vivien Leigh, Ivor Novello and Boris Karloff. It is open to the public from 8.30am – 5.00pm every day except Sundays, when it closes at 1.00pm. 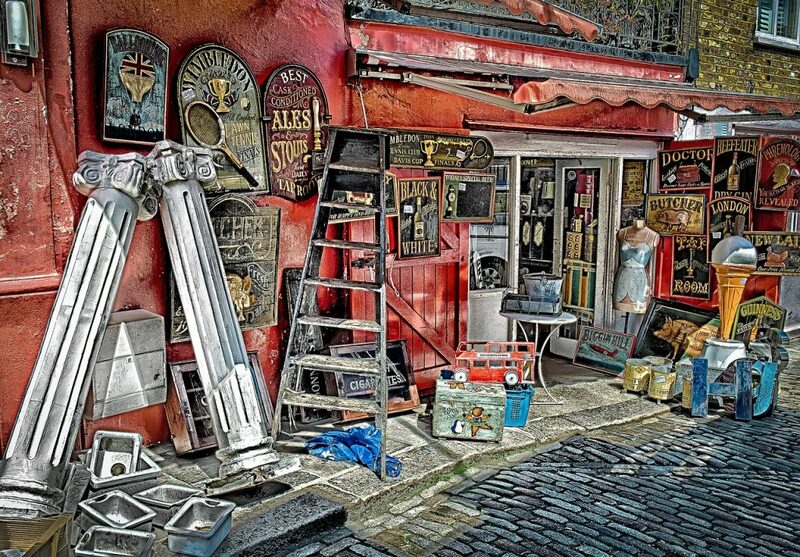 Portobello Market is an exciting and vibrant experience, with live music, lots of colour and hundreds of stalls selling food, antiques, bric-a-brac, ceramics, vintage clothing and second-hand goods. It is probably the most famous market in London, open six days a week (closing on Sundays) and is a fantastic place to experience Londoners at their best. It’s free to explore and definitely worth a visit. Address: West London, located north of Kensington within the Royal Borough of Kensington & Chelsea. Notting Hill is an Instagrammers dream – the colourful streets make for stunning images. Made even more famous by the film, Notting Hill is full of beautiful facades, hidden little mews areas and art works that serve as the backdrop for a fantastic afternoon spent in one of the most expensive areas of London. Check out this self-guided tour. One of the most iconic landmarks in the city, Tower Bridge is a combined bascule and suspension bridge that was built between 1886 and 1894. 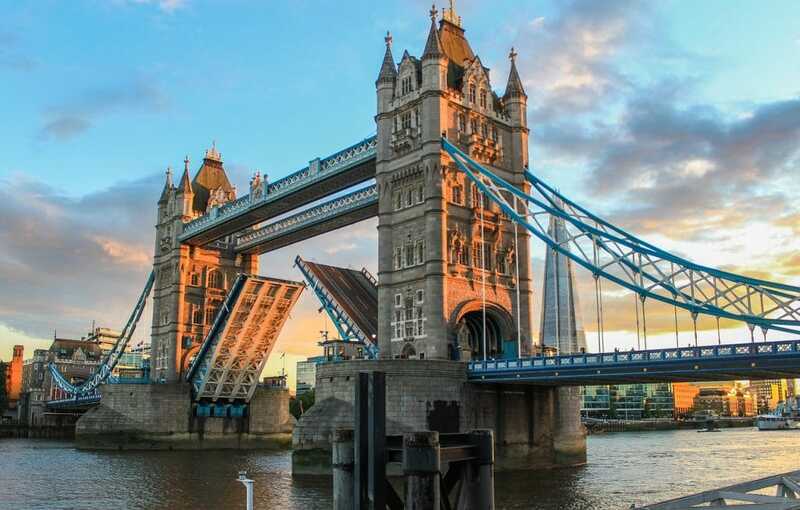 It is free to walk across the bridge and to witness it opening and closing, (but there is a small charge if you wish to go inside the building) and offers fantastic views of the Tower of London, the Thames and the Shard. Want to splurge and go inside? Click here for information. Love travelling on a budget? Check out these tips for visiting Barcelona, Spain. 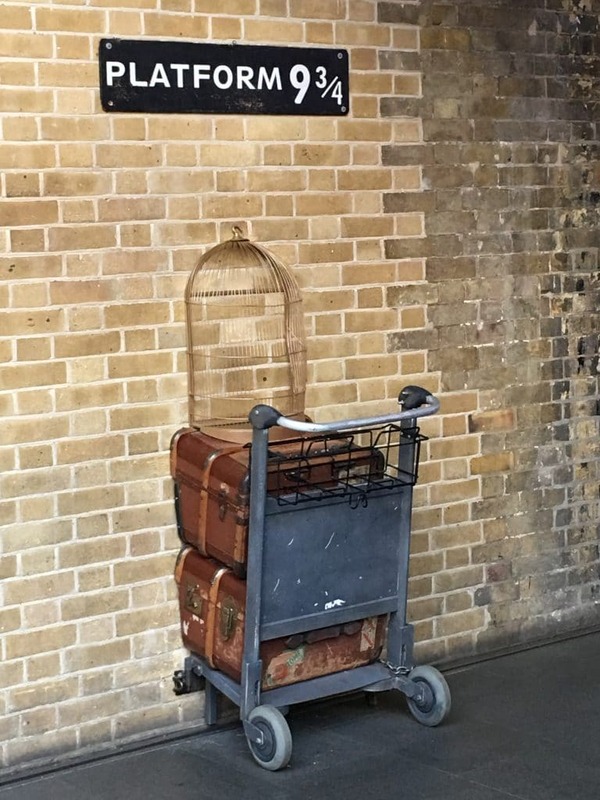 After the enormous success of the Harry Potter films, a trolley has been constructed at Kings Cross Station that allows people to have a go at ‘running at the wall’ to get onto Platform 9 3/4. It’s a tourist hot spot, often with queues of people lining up to get their photograph professionally taken (which can then be purchased in the Harry Potter store next door). However, it’s completely free to visit as it is situated in one of the busiest stations in London, and you can get a photograph of the trolley as tourists are swapping over, at the actual station that is featured in the films. Most of the museums in London are free to visit, with the option for a ‘suggested donation’ on entrance (although temporary exhibitions may incur an admission charge). Here are just some of my favourites. 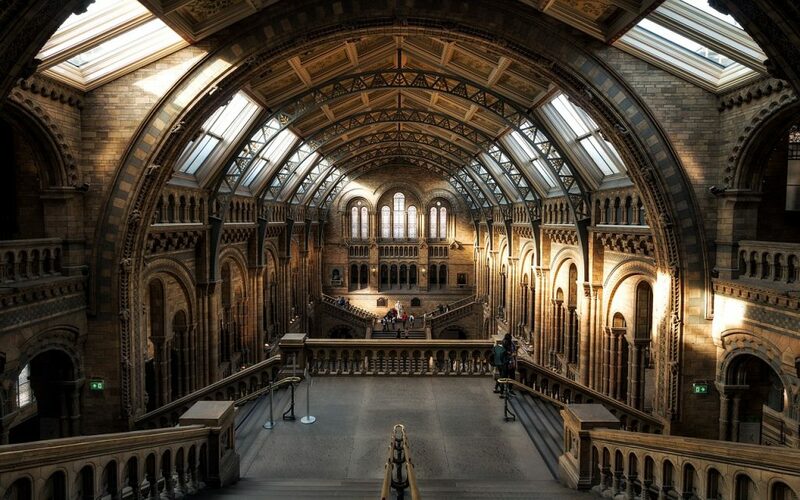 The Natural History Museum (Cromwell Road) is open from 10.00am every day and contains an enormous range of specimens from the natural world, including some collected by Charles Darwin. It is particularly famous for its dinosaur skeletons and its stunning Hintze Hall, with a 25 metre blue whale skeleton suspended from the air. It’s a fabulous place for adults and children alike, and definitely worth a visit. The Victoria and Albert Museum (Cromwell Road) is open from 10.00am every day, seven days a week. Interestingly, its foundation was laid by Queen Victoria on her last public engagement in 1899 and it now houses a permanent collection of over 2.27 million art and design artefacts from all over the world. It’s an enormous space and almost certainly isn’t possible to see in a single visit, but it’s a wonderful way to spend a day in London, free-of-charge. The Science Museum (Exhibition Road) is open from 10.00am every day and houses a collection of over 300,000 items that helped to shape the development of science. Attracting over 3,000,000 visitors a year, the museum has seven floors of exhibits, including the Apollo 10 command module and a three-meter-high Spacelab 2 X-ray telescope. The British Library (96 Euston Road) is open from 9.30am every day, except on Sundays when they open at 11.00am. It has an incredible collection of over 150 million items, but these are open only to cardholders. However, there are featured exhibitions throughout the year and a room that houses a whole plethora of interesting works including musical manuscripts, Scott’s diary and religious artefacts that are open, free of charge, for public viewing. Tate Britain (Millbank Road) is open from 10.00 am to 6.00pm every day. Tate Britain is an art museum. It is part of the Tate network of galleries. It is the oldest gallery in the network, having opened in 1897. It houses a substantial collection of the art of the United Kingdom since the 1500’s right up to the present day, and has a particular large holdings of the works of J. M. W. Turner. Tate Modern (Bankside) is open Sunday to Thursday, 10.00 am to 6.00pm and 10.00am to 10.00pm, Friday and Saturday. Tate holds the national collection of British art from 1900 to the present day and international modern and contemporary art. It is one of the largest museums of modern and contemporary art in the world and is part of the Tate galleries of England. British Museum (Great Russell Street) is open 10.00am to 5.30pm daily, Fridays till 8.30pm. The British Museum is dedicated to human history, art and culture. Its permanent collection numbers some 8 million works, and is among the largest and most comprehensive in the world. It documents the story of human culture from its beginnings to the present. If you loved the movie, “The Mummy Returns”, you will most definitely recognize the front of the British Museum. If you are interested in all things Egypt, especially mummies, this is the place to go! Address: located in the East End, divided between the boroughs of Hackney, Tower Hamlets and Islington. The Shoreditch area of the city features an incredible array of street art, including works from Banksy, Fanakapan, ROA and Gregos. There are free walking tours available, but it is possible to find a large amount of the works online before you go. The art work changes regularly, so you’ll never see the same thing in many spaces twice, and it’s a brilliant way to appreciate some of the best art from the most talented street artists in the world… all for free! 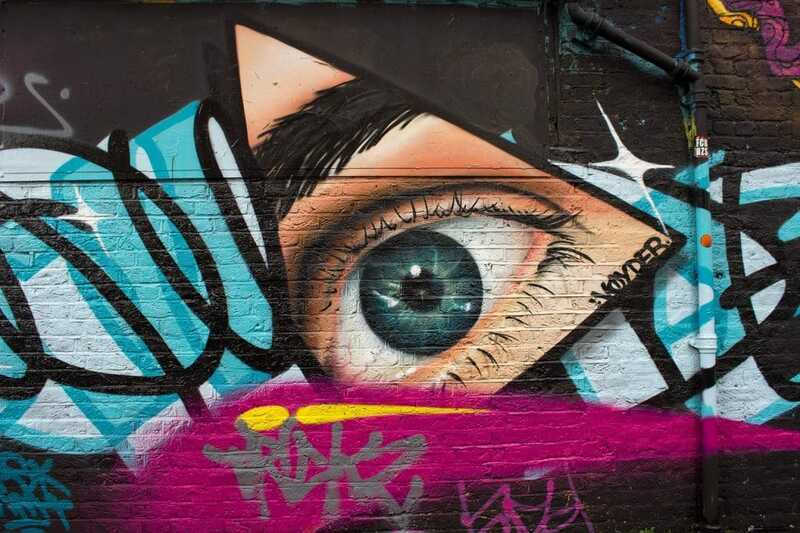 Click here for a guide to the best streets to explore to view street art. 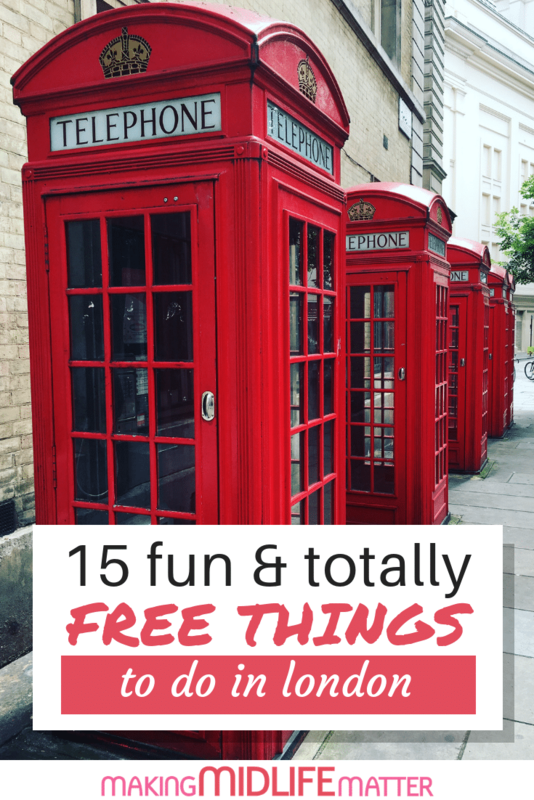 This list of free things to do in London should give you a great overview of everything this fabulous city has to offer. It is amazing that all these places won’t cost you a thing! How many other big cities in the world have you gone that offer so many places to go for absolutely nothing? I love London. Come. Explore. Enjoy. Spend time, not money. Suzie is an award winning, lifestyle blogger, living in Birmingham. You can find her blog at SuzieSpeaks.